Alma Whitney moved to Las Vegas from Tallulah, Louisiana when she was sixteen years of age to stay with her sister. She told the interviewer that she moved because she could make more money in Las Vegas than back home in 1952. In Tallulah, she earned between $1.50 and $2.50 a day working in private homes or picking cotton, respectively. In Las Vegas, she found work as a housekeeper at the Desert Inn. She worked cleaning rooms for fourteen years, and then received a promotion to supervisor of housekeeping which she held for twenty-five years. Alma remembers the early Las Vegas Westside peppered with little shacks with dirt floors, unpaved streets, and tiny trailer parks. She had expected more liberal attitudes concerning race relations than she found in Las Vegas. Nevertheless, the town’s burgeoning gaming industry provided opportunities to work and to make a good living. She and her husband (who worked at Nellis Air Force Base) purchased a beautiful home on the Westside and reared five children. They carved out a full life by enjoying and supporting the institutions on the Westside: the church and schools for her children, and the clubs of Jackson Street for the adults. Alma Whitney’s story was collected as part of the series on women working in the gaming industry. 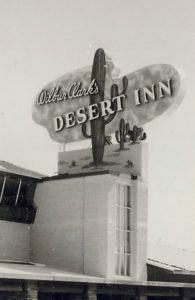 It also provides information on the African American migration to Las Vegas during the 1940s, post-war race relations in Las Vegas, the daily work of hotel maids, and the culinary union.